Gamers on Xbox One will soon have a new way to express their creativity. ROBLOX, an MMO that lets players create and share games, is coming to Xbox One on December 3rd. I sat down with the developers this past week to see the game for myself. 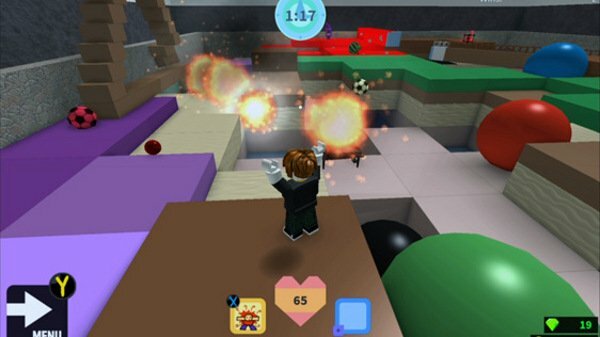 ROBLOX's game-making tools are designed for a range of skill levels. A beginner can create a simple 3D world by dragging and dropping premade objects from a "toy box" created by the developers. A more advanced user can open up the hood and start modifying the code underneath these objects. The games currently available on PC, Mac and mobile devices show some incredible diversity. There are basic games like hide-and-seek, obstacle courses, and multiplayer dodgeball to cater to the younger players. The more complex creations include Strobe, a first-person shooter with TRON-like visuals, and Heroes, a top-down dungeon crawler in the style of Gauntlet. One of the other games the development team took me through on a guided tour of ROBLOX was Super Bomb Survival. Survival puts a group of players into an arena being bombarded with explosives from above. The winner is whoever can survive this rain of bombs the longest. The developers also mentioned Hexaria as another game that impresses them. They described the game as a cross between Dungeons & Dragons and Hearthstone. It's a turn-based card battle game with multiplayer and character classes. The range of experiences ROBLOX users can create is truly impressive. Not all of the ROBLOX community's creations are conventional games, though. Club Boates is a virtual nightclub built by a teenager that lets players bust out custom dance animations. 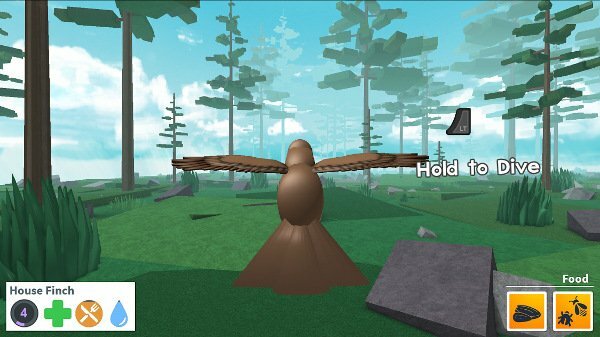 Bird Simulator allows you to become a ren or cardinal and then soar around aimlessly. Both games ended up being the most popular titles soon after their release. ROBLOX, the developer tools and the various player-created games are all free. Roblox Corporation makes its money by selling Robux, a virtual currency that can be spent on optional purchases within the user-made games. These microtransactions fund the developers as well. The developers mentioned that the 20-year-old creator of Super Bomb Survival makes a tidy living off building ROBLOX games. The Xbox One version of ROBLOX will launch with a curated collection of about two dozens games created by users. Eventually XB1 players will get access to all of the other games available on PC and mobile games. Roblox Corporation doesn't have a firm timeline for when that will happen, though. They're going to see how the Xbox One's initial launch plays out. Xbox One will be the first console to receive ROBLOX but might not be the last. Roblox Corporation didn't say whether they're talking to Sony or Nintendo but did mention that they're interested in exploring other platforms in the future. If you're interested in checking out ROBLOX, you can download it through the game's official website.